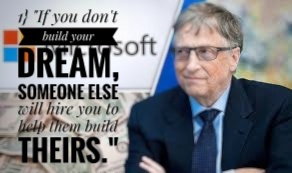 Someone else will hire you to help them build theirs." 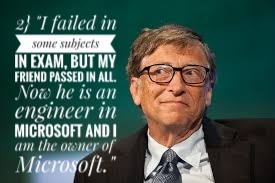 Now he is an engineer in Microsoft and l am the owner of Microsoft." 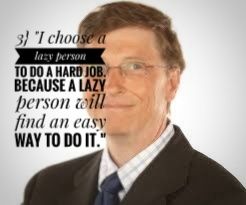 3} "I choose a lazy person to do hard job. Because the lazy person will find an easy way to do it." 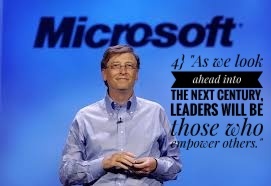 4} "As we look ahead into the next century. 5} "Success is a lousy teacher. It seduces smart people into thinking they can't lose." 6} "Your most unhappy customer's are your greatest source of learning." 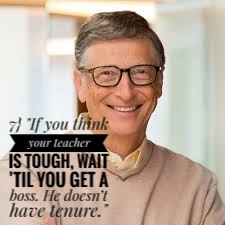 7} "If you think your teacher is tough, Wait till you get a boss. He doesn't have tenure."